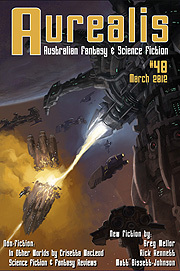 One of the regular advertisers recently asked what the hit rate was for the new Aurealis epublication. I had to explain the difference between epublications (which have 'downloads') versus online publications (which have 'hits'), but it brought up a valuable distinction. I know the two are superficially the same. An online magazine and an epublication magazine are both digital, they might even look identical—but from a psychological point of view I would say there is a world of difference. 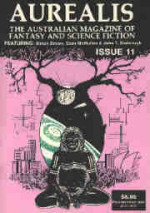 You only 'visit' an online magazine, while you 'own' an epublication. My feeling is readers are reluctant to pay for a visit online because it's temporary, an ephemeral experience. It's not yours and it can be taken from you at any time. On the other hand epublications are owned. They live on your device. It's through this permanence that the reader develops a relationship with the work. Epublications share this feature with hard copy books. You can't have this relationship with an online publication. Of course, the ownership on an eReader is arguably illusory, as Amazon demonstrated in 2009 when it remotely deleted (for copyright reasons) some digital editions Orwell's 1984 from the Kindles of readers who had bought it. But the furore that surrounded this action proves my point about the psychological value of ownership. 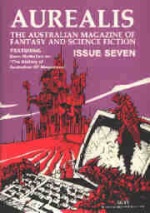 This why Chimaera Publications went down the epublication route with Aurealis magazine and its Aurealis book imprint rather that online route. Only time will tell whether we were right. 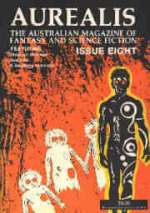 I hope you enjoy this issue which opens with an Aurealis first, a graphic story: 'The Descent of Traag' by Matt Bissett-Johnson. 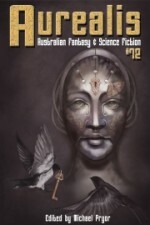 We also have a ripping deep-space yarn by long-time Aurealis favourite, Rick Kennett, a subtle Greg Mellor tale of a digital artist who paints actual thoughts, and an extended review of Margaret Atwood's In Other Worlds: SF and the Human Imagination by Crisetta MacLeod, as well as the usual reviews and news.